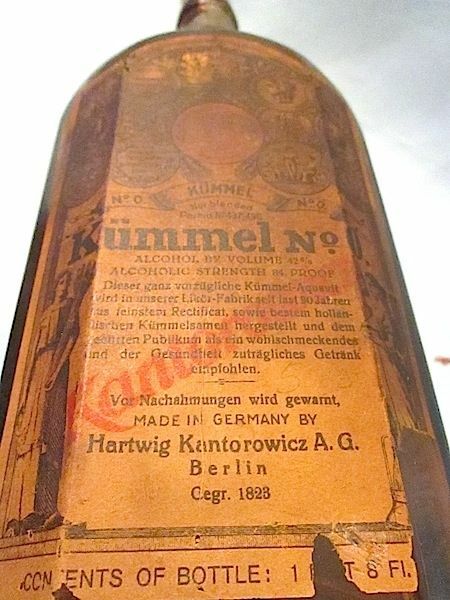 First post as i have just signed up to try and find out about these bottles. I have a few that i am wondering what they are, what age they are and ultimatley how much they are worth. I have a few bottles i am trying to sell so any information would be great. 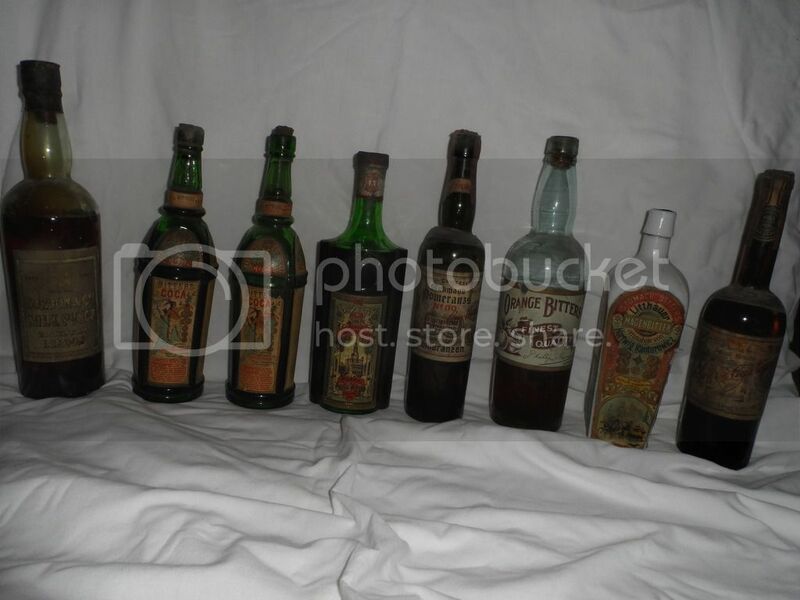 If anybody knows anything about any of these bottles or can point me in the right direction i would be really grateful. Any info would be really appreciated.. 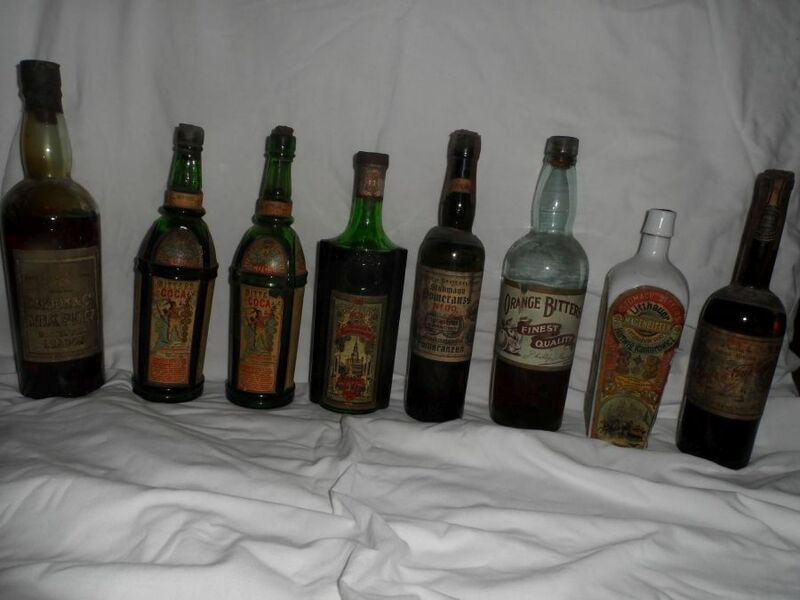 Very nice set of colorful labeled bottles dating from the late 19th c. or perhaps very early 20th c. Labels with color are scarce - these all are well above avg. I have several bottles given to me to sell. 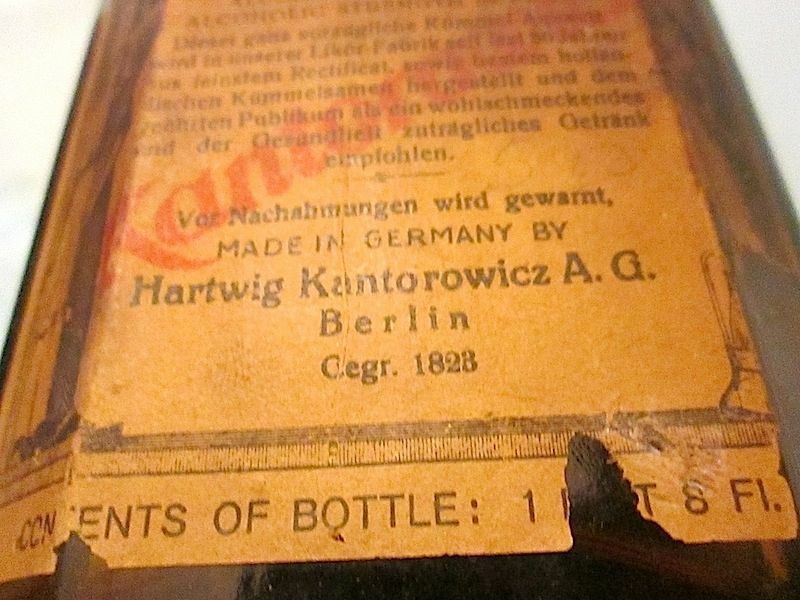 I have just spent 2 hours trying to determine the value of this 1928 Hartwig Kantorowicz A. G. bottle. While searching I came across your site and signed up with hopes of help. I thank you ahead of time for any information concerning value. My gut reaction is value in the $40 to 60 range. 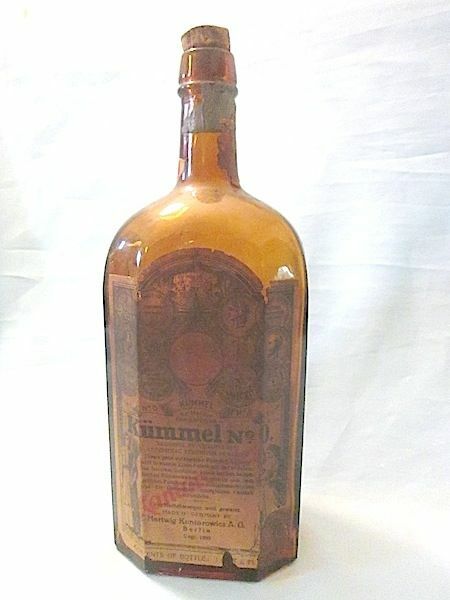 You might compare this bottle to the somewhat more common JA Gilka Kummel bottle - it has a similar shape and label. This company produced a wide variety of products and containers for their products. 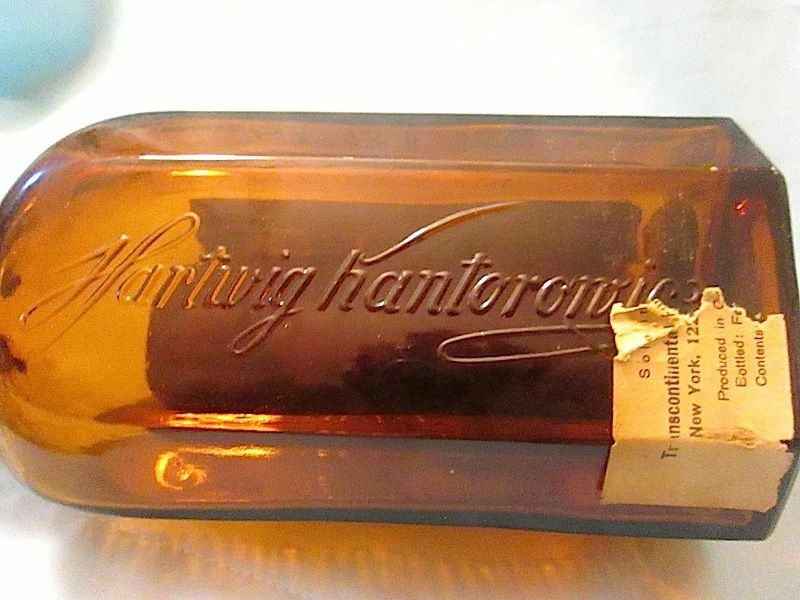 Glassworks Auctions had a sale a few years back with dozens of different bottles from this concern.